Have news? Report it here! 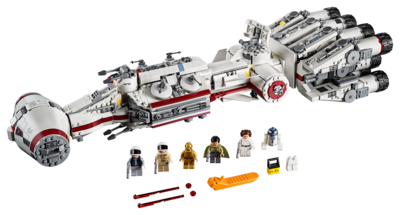 75244 Tantive IV has just been revealed, and will be released on May 4. 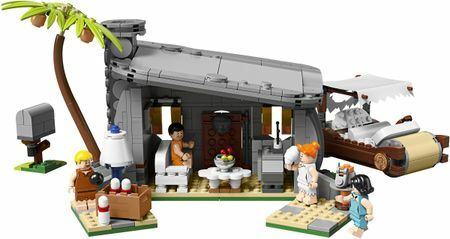 The 1768-piece set retails for US $199.99 and is the first set to feature a Bail Organa minifigure. This is the third Tantive IV set to be released, after 10019 Rebel Blockade Runner in 2001 and 10198 Tantive IV in 2009. Happy 20th Anniversary Star Wars LEGO! 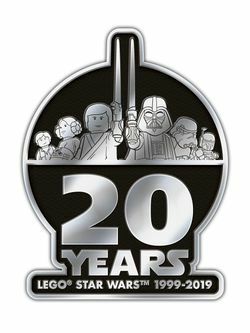 Today marks the 20th anniversary of LEGO Star Wars! LEGO's issued a press release talking about the theme's history and some obscure facts- check out the opening below, or read the full press release here. This is a description taken from LEGO.com. Please do not modify it. (visit this item's product page) The LEGO Group raises its lightsabers to toast the fans instrumental to the success of the LEGO® Star Wars™ 20-year legacy and launches five new special edition sets to mark the anniversary. What are your favorite things to come out of the Star Wars theme in the last 20 years? Let us know below! It's the start of a new month, and 21317 Steamboat Willie and the five Avengers: Endgame sets are now available on the official LEGO Shop. You'll also receive double VIP points for purchasing 76126 Avengers Ultimate Quinjet or 76131 Avengers Compound Battle. LEGO Ideas set 21316 The Flintstones has been revealed at the New York Toy Fair. The set features the Flintstones' house and car, and includes the four main characters (Fred, Wilma, Barney and Betty). Here's a look at the rest of the unseen lineup for the next wave of Star Wars sets (check our earlier article for the 20th anniversary line). This year's New York Toy Fair is under 12 hours away, so we should be getting a lot of information and photos of upcoming sets. What are you most exciting seeing in this year's lineup? Nuremberg Toy Fair 2019 is here! The 2019 Nuremberg Toy Fair is underway, and we're getting information about several upcoming sets. Unfortunately, like the last couple of years photography is no longer allowed at this event and we'll have to wait a couple more weeks until New York to get a good look at the sets. However, shots of the 20th Anniversary Star Wars line have been released which are posted below. For a list of all the sets covered, check out this summary on Brickset, and we'll be adding information here over the next couple of days. Happy New Year from Brickipedia! New or old, feel free to stop by and say hi, and let us know what set you're most looking forward to this year!